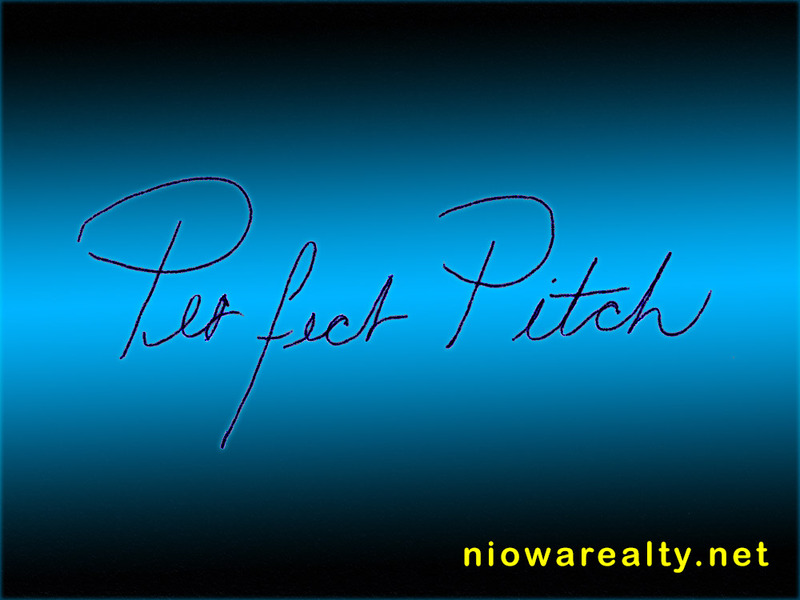 Share the post "Perfect Pitch"
As the month nears its end, I was reminded again today how hectic it can be around the office. Not only do I have closings coming up that have had last days changes made, but also the repeating inquiries about rentals available. I’ve been hearing some stories about housing rentals that got me all the more concerned regarding the caliber of tenants living in them along with the overall conditions of the units. It’s no wonder I’m seeing the better rentals going for much higher prices than I’d ever thought possible. It seems there are definite lines being drawn by prospective tenants as to where they want to live and what condition they’re expecting those open units to be in. When later thinking about his remarks, it made me wonder just how many others are doing the same thing. So if they see or hear no evil, then they’ve convinced themselves those evils really aren’t there. It’s almost like some families that have real issues going on within, but when they’ve decided to bury their heads in the sand, those issues also don’t exist. Like I mentioned to someone today, “Why would anyone want to go back and drink from a polluted well when they know fully that more sooner than later they’re going to poison themselves.” Unfortunately some habits never get broken. Truth be told, I’m glad to have been all the more busy today which kept me from having too much time to dwell on the death of my dear well known. It was another stark reminder for me in how precious life is and how quickly without notice it can be taken away. I know there are reasons for things to happen which we as humans can’t understand simply because we’ve not evolved to the point of true enlightenment. So in the meantime, we’re left with many haunting questions. Hopefully the rains well be over for a while so my public open house at 323 – 6th St. NW will be a smashing success on Saturday. It’s an absolutely beautiful home that’s been updated by a true craftsman. Please make sure to stop by. While showing a home to a family this afternoon, one of the son’s ran upstairs and made some really high-pitched sound with his voice. I asked his mother what he was doing and she said, “Oh that’s supposed to be his mating call.” I laughed and said, “Has he ever had a mate arrive?” “Thank goodness NO!” she replied. I’m not so sure what that family must’ve thought of me after they left, but that’s OK because I believe there are a good number of great voices in our community that have yet to be discovered, and a precious few possess perfect pitch.